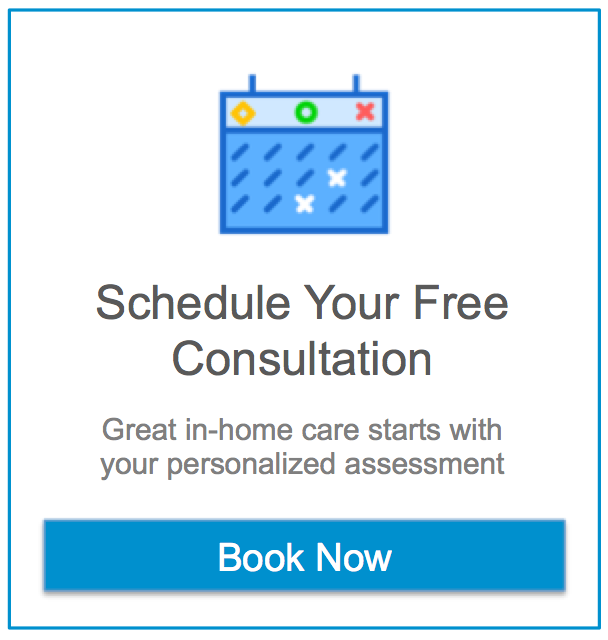 The past couple of decades has seen significant changes in the world of in-home health care. Assistance with non-medical tasks like grocery shopping, light housekeeping, and companionship allow seniors to stay in the comfort of their own homes and avoid moving into nursing facilities. Progressive services like hospice, dementia/Alzheimer’s and skilled nursing care are now available in-home as well. Seniors who have been hospitalized, injured, or experienced a serious illness often have trouble doing basic tasks and need extra help. Assisting Hands Home Care provides a wide range of exceptional in-home services to seniors in Pinecrest, FL. Because we screen and train our providers, we can have a skilled caregiver in place in as little as 48 hours or less. Assisting Hands Home Care is a licensed caregiving service specializing in all-inclusive home healthcare. Our company has a reputation of reliability and trust in Pinecrest, FL and we work to maintain it every day. Our home healthcare workers are carefully screened and pass extensive background checks before we hire them. They are insured, bonded, and trained in CPR and first aid, to give security and peace of mind to clients and their families. The home caregivers at Assisting Hands Home Care provide excellent specialized care to individuals with a variety of physical and mental conditions. We provide transportation to and from doctors’ appointments and physical therapy sessions in Pinecrest, FL. Our Care Coordinators communicate with family and physicians to ensure that everyone is kept informed about any changes in the client’s mental and/or physical status. Our staff helps clients navigate the wealth of resources available to them in Pinecrest, FL to help them pay for in-home care and take advantage of entertainment and educational programs. Programs such as reverse mortgages and Medicare can pay expenses, while senior social events enhance and enrich their quality of life. Assisting Hands Home Care provides compassionate hospice care to help loved ones spend their final days, weeks, or months in their own home in Pinecrest, FL, surrounded by the people and things they love best. Our caregivers help clients stay comfortable and as pain-free as possible, so they can enjoy this precious time, and so they can pass on with dignity and grace. In many families, a relative becomes the initial caregiver when a family member needs assistance. This can become demanding when it’s combined with juggling a job, family, and other responsibilities. Assisting Hands Home Care provides respite care in Pinecrest, FL to allow family caregivers the time to take care of personal issues, travel for business or pleasure, or just take a short break. We work with the family to develop a plan to ensure a consistent level of care for the individual and a seamless transition. People with Alzheimer’s or other forms of dementia need close supervision to avoid accidents. The caregivers at Assisting Hands Home Care receive specialized training so they can provide the high levels of supervision and care these patients need for their safety and well-being. We make sure they stay safe and comfortable and exercise their minds with memory improving activities. Getting around the house after any type of surgery is difficult, but even more so for seniors. If they don’t follow discharge and follow-up instructions, it can lead to serious health consequences. Our home healthcare aides provide high quality post-operative care to clients in Pinecrest, FL who are recovering from all types of surgeries. We monitor medication, help with tasks around the house, and monitor their condition so they can recover quickly. Family caregivers are constantly worried about the well-being of their relatives and this fear can become more intense at night. Senior citizens who do not have overnight care are at risk for falls or injuries when walking to the bathroom in the middle of the night, and they could face serious consequences if there is an emergency at night with no one to help. At Assisting Hands Home Care, we can help you and your loved ones in Pinecrest, FL rest easier at night with our overnight care services. Our caregivers will be at the home before your loved ones go to bed to help them get ready. We will then stay alert all night to help with restroom use and react if there is an emergency. For seniors and adults with disabilities that need consistent care, it is important to have someone near them 24 hours a day to help out and react if there is an emergency. Assisting Hands Home Care Serving Miami can help those who need constant care in Pinecrest, FL with our live-in care services. One of our caregivers will live in the home of your loved ones and cover their care needs throughout the entire day. Everyday tasks become difficult after medical events like an injury, stroke, or dementia diagnosis. Assisting Hands Home Care helps clients in Pinecrest, FL stay in their own homes by providing help with daily activities like bathing, shopping, preparing meals, and transportation. This help allows them to avoid moving into an assisted living facility unless absolutely necessary. We help them pursue hobbies and recreational activities that make their lives more enjoyable if family members don’t live nearby. The Care Coordinators at Assisting Hands Home Care meet with clients and their families for initial consultations to determine what services are needed and how often. Next, we work to identify beneficial programs like VA pensions, Medicare and long-term care insurance. We work with physicians to create an ongoing care plan for our clients that addresses their physical and mental needs. If your loved one needs short- or long-term care, weekly visits, or 24/7 supervision, Assisting Hands Home Care can send qualified, skilled caregivers to provide compassionate care. We strive to help seniors stay in their own homes for as long as possible, in good health and with dignity.